Happy Turkish local election day! 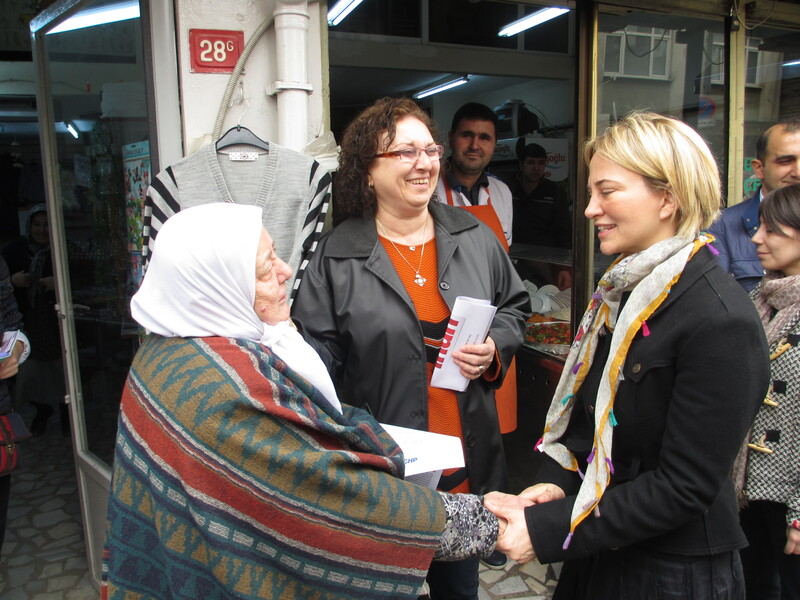 Today, people across Turkey are voting in local elections. If you’ve been keeping up with Turkish news recently, you’ll know that recently the government of Turkey has blocked both Twitter and YouTube due to leaked tapes displaying government corruption and even invasion plans for Syria. Therefore, these local elections are crucial. If the incumbent AKP party wins again, Facebook is likely to be blocked. 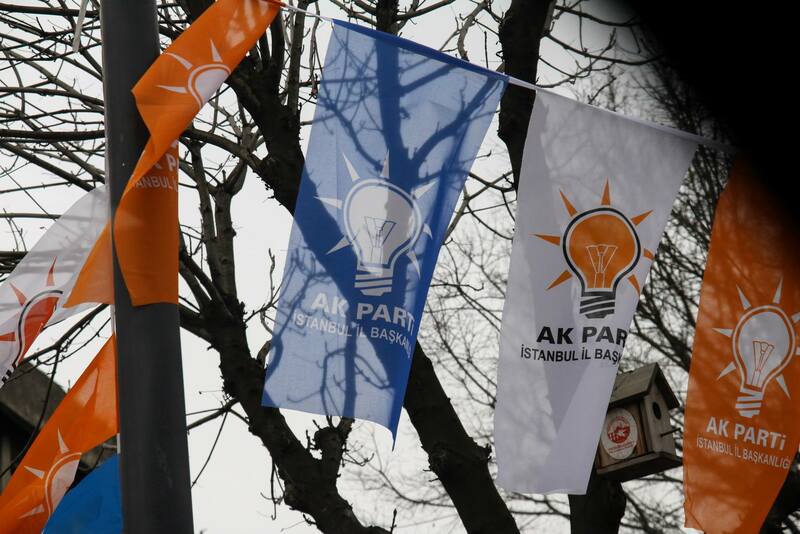 AKP flags that we observed hanging all throughout Istanbul. While on my trip to Istanbul, I was lucky enough to meet the opposition CHP mayoral candidate for one municipality, Beyoglu. Unfortunately, our group was not able to meet with any incumbent AKP mayors, but meeting Aylin Kotil was an eye-opening experience into local Turkish politics and campaigns. I had just walked into a campaign office for the first time in my life. Was it the Democrat’s campaign office? No. Republican’s? No. It wasn’t even American. 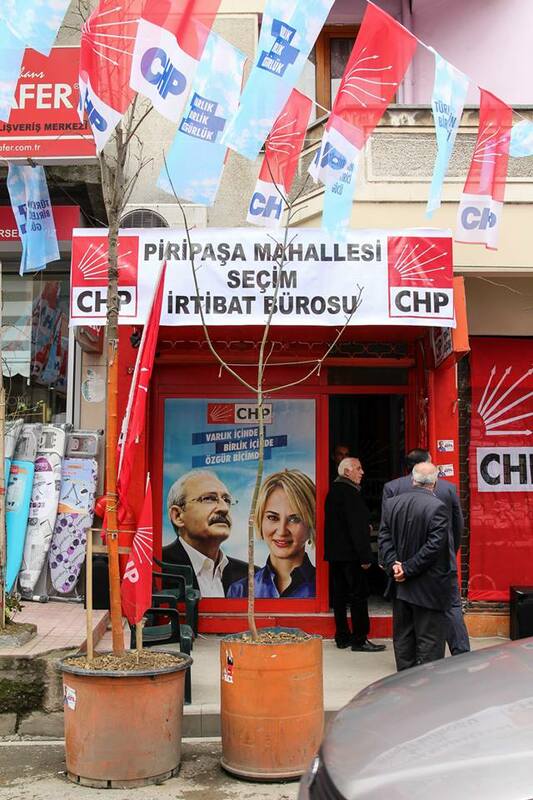 It was the campaign office of the CHP (People’s Republican Party) of Turkey. 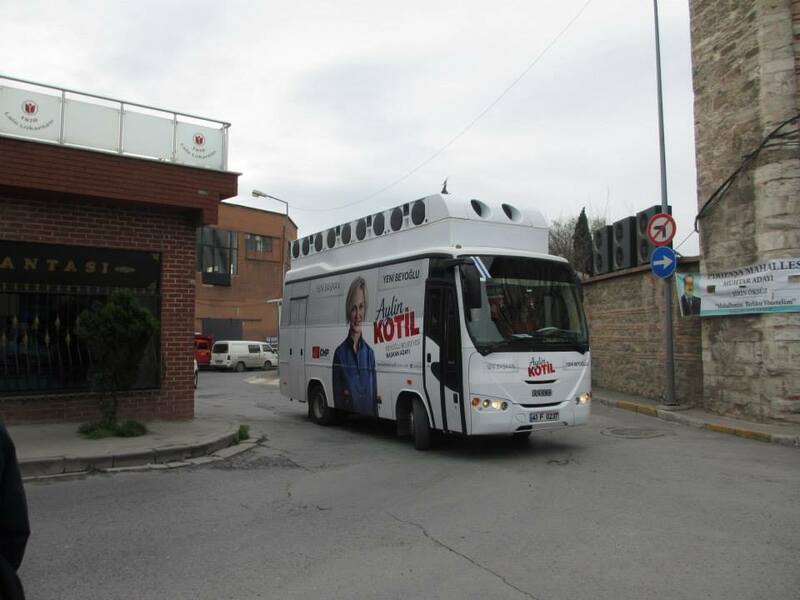 Aylin Kotil is running as the opposition candidate for mayor of the Beyoglu municipality of Istanbul. Despite her extremely busy schedule of running a campaign she still had agreed to meet with us, a group of American college students who could in no way help her campaign in the slightest. As we walked in, the first thing I noticed was how many women there were walking about. At least 75% of her campaign volunteers that day were women and what was most interesting to see was that one of the women was wearing a hijab. (Read this post to hear about my research) That was as clear of a sign as any that the CHP is drawing back from their former position of an almost radical separation of church and state. Aylin herself came out to greet us, in English suprisingly, to tell us that in half an hour we would be joining her on her campaign bus to visit businesses in the district. It turned out to be a giant tour bus, but with at least a dozen speakers attached to the top. As soon as the bus started moving, our campaign music started playing. It was such a high energy exciting song! Side note: We rode around in that bus for several hours, listening to that song the entire time. By the time we got off, we were all singing it. Aylin’s campaign bus. Please note the giant speakers on top! The first place we went was a low income, AKP-friendly neighborhood. We hopped off the bus, and literally followed Aylin around as she went door to door shaking hands with all of the business owners and anyone who happened to pass. 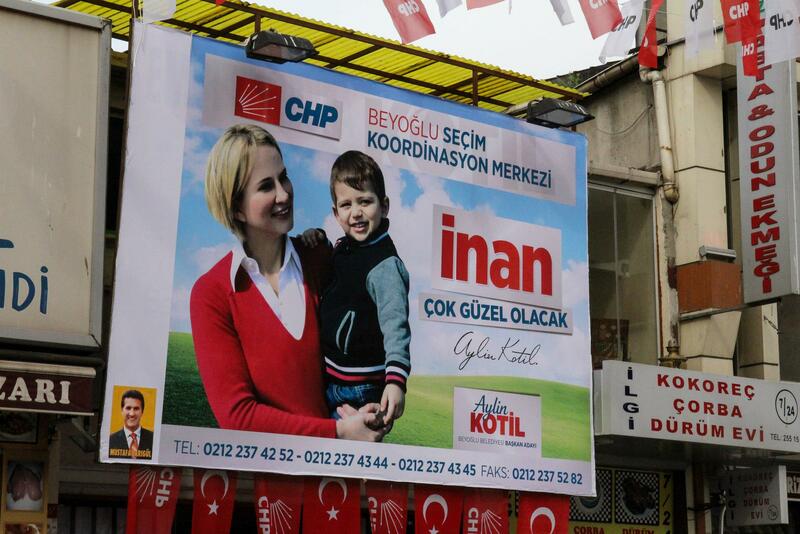 Apparently in Turkish politics, personal connections with the person running for office are expected. Aylin had already visited the neighborhood several times already, yet it was still a contentious area. At one point my friend and I got completely separated from the rest of our American, English speaking classmates. Apparently most of the group had decided to go to Tarlabasi, another area in the district. We decided to just keep following the campaign, since that was our best bet of meeting up with everyone again, but of course, someone from the campaign noticed that the rest of our group had left and a game of charades and language barriers ensued! The photographer pointed to us and then made a questioning, looking around motion. “Our friends left us!” we said. We shrugged our shoulders, lifted our hands up high and put on confused faces. He nodded, then pointed to us and looked confused. “We stay here!” We pointed to each other and the ground. He smiled and gave us a thumbs up. Crisis averted. Despite the complications and annoyances of language barriers, I honestly kind of like them. They’re like a challenge. When you finally get your meaning across, through a careful selection of simple words, or a creative use of gestures, it’s extremely satisfying and a lot of fun! On our way back to the bus, we ended up running into a group of ladies who created a dance to go with the campaign music! Can you point out the Americans of the video? After getting back on the bus, we drove to a quaint, outdoor cafe where we sat down for all of 10 minutes before going to lunch. During this fast break, we were able to have a personal conversation with Aylin. She mainly talked about her plans to help improve the conditions of women in the area: she mentioned building a women’s resource center with pilates and daycare areas. She had just started talking about some of the AKP’s policies in her neighborhood that were religiously affiliated (MY TOPIC) when we had to leave. Despite being cooped up in that bus for hours, it was honestly my favorite part of the entire campaign experience. We drove through the city, blasting amazing, energizing music, and literally every person we passed in the streets turned to look at us. I felt a tiny bit famous. Okay, Aylin was on the bus with us waving out the window, but it was still a cool feeling! The people’s reactions were so amusing. Some of them even covered their ears, or their childrens’ ears. Guess we weren’t appreciated everywhere. If you enjoyed this please subscribe (click Follow blog via email in the column on the right!) to receive this blog’s updates via email! Also, I love getting feedback so please comment!